Like all liquids, antifreeze will eventually break down. We recommends changing your antifreeze every two years or 24,000 miles. This is often called a flush and fill. A cooling fan circulates air through the radiator so that it can release engine heat into the surrounding air. The fans can be mechanical or electric, if the cooling fan malfunctions, your engine can quickly overheat. We will inspect your cooling fan and make sure the drive belt, or fan belt, that makes it turn, is not loose or cracked. He can also repair and replace damaged fans. A pressure cap is sometimes, but not always, called the radiator cap. It may be on the radiator, or on the coolant reservoir. A pressure cap should be inspected at least once a year. A cap that’s taken off while the engine is still hot could result in severe burns from the spray of boiling coolant. The coolant reservoir indicates the level of coolant in the system. We can check this during every oil change. The thermostat is a valve that regulates the flow of coolant based on coolant temperature. 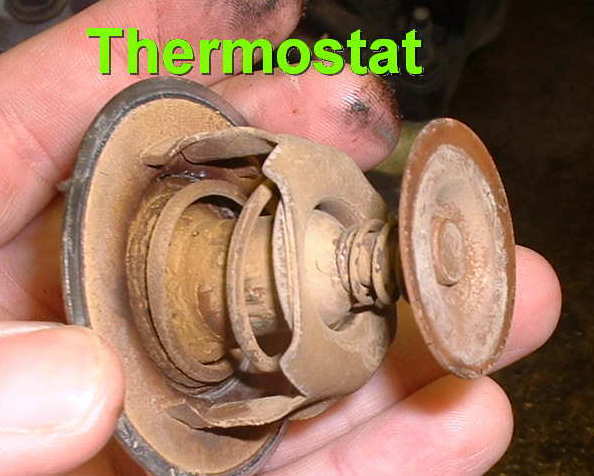 A poorly performing thermostat can result in overheating, engine knocking, poor fuel economy and more. We will check your thermostat during an inspection of your cooling system. We are also a heating and air conditioning expert. In fact, he can service your car’s entire HVAC system. Everything from a flushing and fill of the systems refrigerant, to checking hoses and maintaining the heating core.